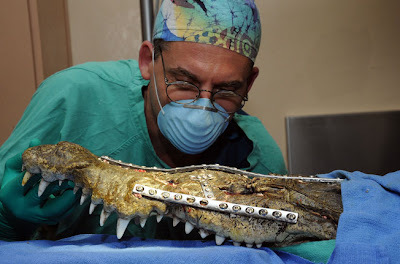 13 Above: RoboCroc - A Robotization Of Undead Crocodile ! 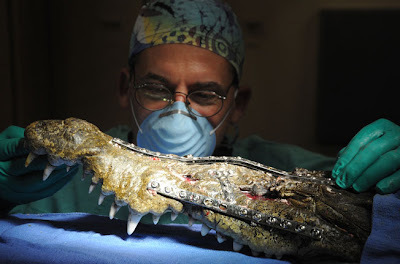 Be afraid ... a 3m crocodile whose face was crushed by a car has been transformed into "RoboCroc" after reconstructive surgey at Miami's Metrozoo. Steady now ... one of the team drills a pilot hole into bone to attach the metal supports. 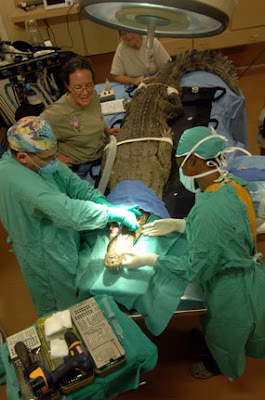 Major operation ... the Miami team sets about the reconstructive surgery that will hopefully allow the croc to hunt and eat again. 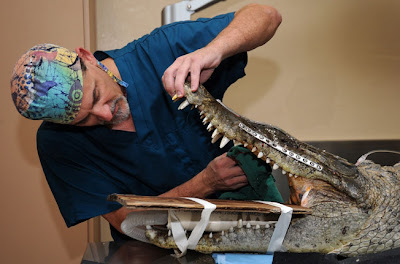 It's believed that the croc had been unable to eat for three months after the accident. Toolkit ... 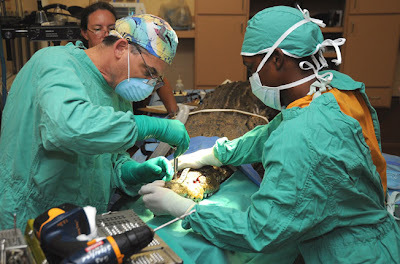 It looks more like a workshop than an operating room as the metal supports are screwed into place. 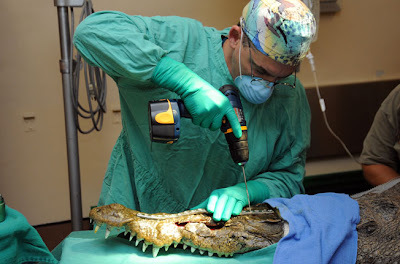 Spit and polish ... one of the team cleans up RoboCroc after his reconstructive surgery. Close up ... a final check of the rebuilt snout..